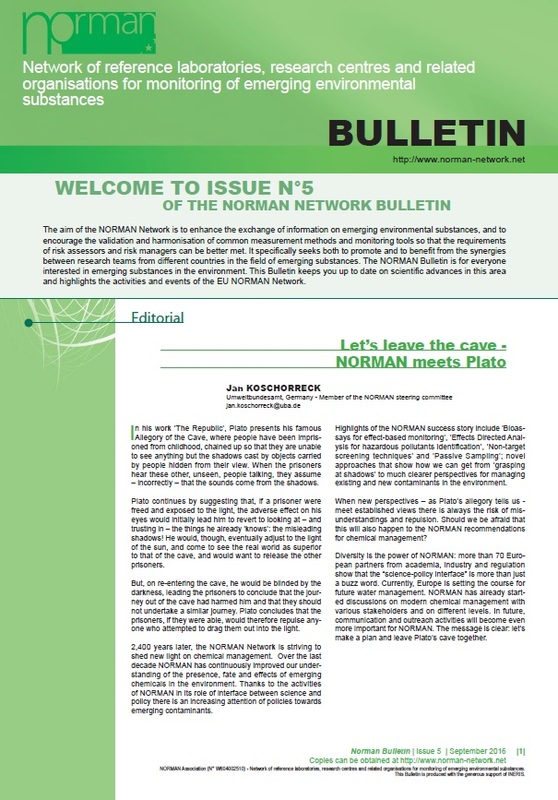 The NORMAN Bulletin on Emerging Substances – the successor publication to the original 5-issue NORMAN Newsletter series – addresses various topics, on each of which a NORMAN expert team prepares a note with an overview of the latest scientific findings, gaps and priority research needs. Our main objective is to contribute to the maintenance of a "constant scientific watch" and to the wider dissemination of information on recent scientific publications, research projects, etc. in the field of emerging pollutants. 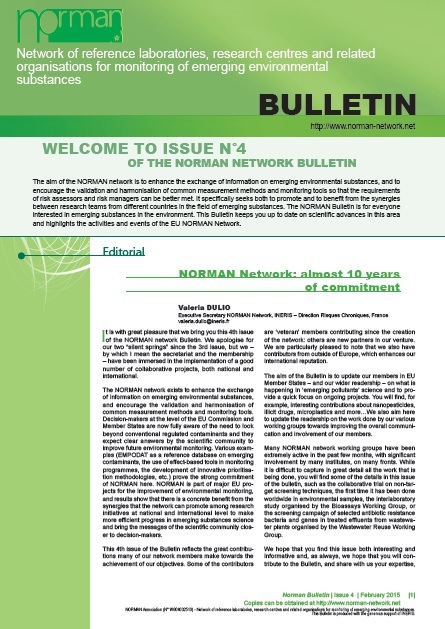 The Bulletin is disseminated to environment and health agencies, public authorities managing chemical contaminants, etc., and is made available on this website. Environmental monitoring of biocides: an emerging issue? What is the optimal strategy for using biomonitoring to assess human exposure to emerging contaminants?